Designed for small and medium-size businesses, the image CLASS MF424dw balances speedy performance, minimal maintenance, and the ability to add an extra paper tray. A 5" color touchscreen delivers an intuitive user experience and can be customized by a device administrator to simplify many daily tasks. The all-in-one, Canon imageCLASS MF236n laser printer offers high quality output, feature-rich capabilities and reliability that is ideal for any small office or home office environment. The imageCLASS MF236n has print, scan, copy and fax capabilities so you can accomplish all necessary tasks with just one machine. Your professional quality documents are printed at speeds of up to 24 pages per minute in black and white. The tillable, 6-Line LCD panel allows you to navigate through the menu seamlessly. Print on-the-go using your compatible mobile device with Apple AirPrint, Mopria Print Service and Google Cloud Print. 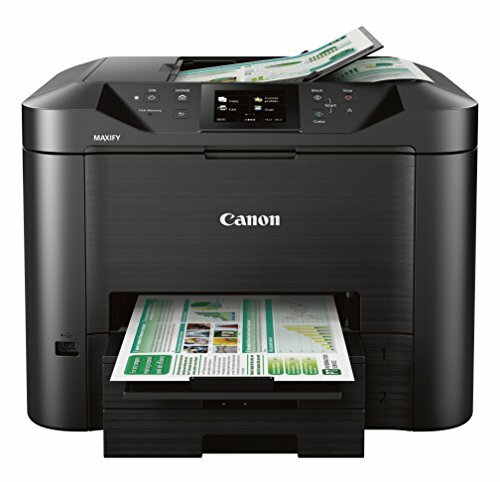 You can also scan hardcopy originals using the Canon Print Business app. Eco-conscious 2-on-1, 4-on-1 and double-sided printing options save paper and related costs. With paper capacity of up to 250 sheets and 35-sheet automatic document feeder, your paper handling requirements are covered. The imageCLASS MF236n uses 2 watts or less of energy in wired, energy saver mode, helping you save money on energy costs. The single cartridge system combines the toner and drum into 1 unit, making replacement of cartridges simple. This machine uses Canon Genuine Toner, Cartridge 137 (yields 2,400 pages, ISO / IEC Standards). 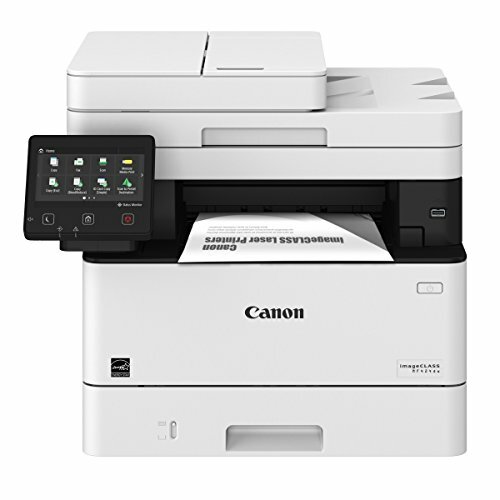 The Canon MAXIFY MB5420 Wireless Small Office All-In-One Printer is designed to meet the needs of smaller businesses with up to nine users, by delivering high-quality, low-cost prints. It boasts a quick first printout time as fast as 6 seconds with fast print speeds up to 24 ipm (B&W)/15.5 ipm (Color) getting your prints you need when you need them. Power through paperwork with single-pass duplex scanning which simultaneously scans both sides of two-sided documents, enabling fast multi-page copying and scanning. The MB5420 is built for big jobs with a 500 sheet paper tray capacity, and a high page yield of 2500 B&W/1500 color prints when using XL ink tanks. Always stay connected and informed with built-in standard Management Information Base (MIB) support, which allows you to easily manage the MAXIFY printers on your network. Built-in Wi-Fi networking makes it easy to connect and print from your computer and favorite mobile devices, and with the Canon PRINT app, you have the added features of being able to print from the cloud and scan directly to your mobile device. Best of all, the eco-friendly MB5420 printer is backed by 100% U.S.-based customer service & support. The image CLASS D570 offers feature rich capabilities in a high quality, reliable printer that is ideal for your small office environment. Your professional quality documents are printed at speeds of up to 28 pages per minute in black and white. Eco-conscious, duplex print saves you time, paper, and related costs, as well as limits interruptions. The tillable, 5-line display panel allows you to navigate through the menu easily. Increase your productivity with wireless connectivity, which allows you to print from almost anywhere in your home or office. The device also has built in Wi-Fi Direct Connection, enabling easy connection to mobile devices without a router. Print on-the-go using your compatible mobile device, such as Canon Print Business, Apple AirPrint, Morea Print Service and Google Cloud Print. Using the Canon Print Business app, you can also scan hardcopy originals. With capacity of up to 250-sheets, your paper handling requirements are covered. The D570 uses approximately 2 watts of energy in wireless, energy saver mode, helping you save money on energy costs. The single cartridge system combines the toner and drum into 1 unit, making replacement of cartridges simple. The D570 uses Canon Genuine Toner, Cartridge 137 (yields 2,400 pages, ISO / IEC Standard). It's here! Meet the printer made for crafting, scrapbooking and is packed with lots of fun features - the PIXMA TS9521C Crafter's All In One printer. Designed with the features you want like 12"x12" borderless printing, versatile paper feeding options including greeting card stock, and built-in printable patterns - this printer gives you the ultimate in printing versatility. It can handle all your everyday printing needs too, such as photos, school projects, documents, invitations and more. 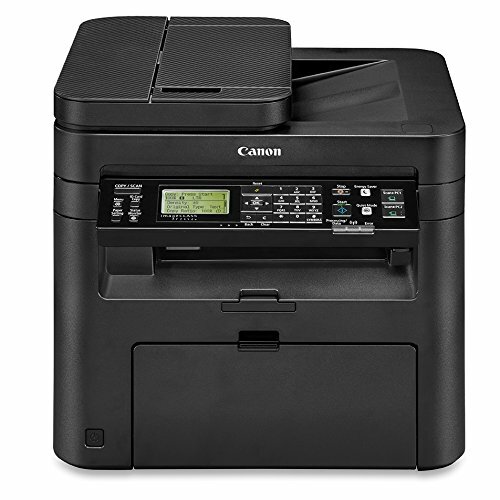 Additionally, with the support of Wi-Fi, Air Print and Mopria Print Service, an auto document feeder for scanning and copying, and a built-in SD Memory Card slot5, this printer will meet all of your needs with the quality you expect from Canon. The PIXMA MG3620 is a Wireless Inkjet All-in-One printer that offers convenience and simplicity for all your printing needs. Print and scan from almost anywhere around the house with its wireless capability. Save time and money with great features such as Auto duplex printing and mobile device printing. 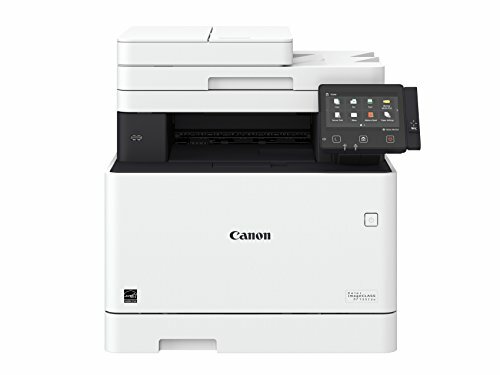 A 3-in-1, WiFi Direct, AirPrint printer from Canon with an easy to use display delivers exceptional black and white laser output at 24 pages per minute and various mobile solutions for printing on the go. The built in 802.11b/g/n WiFi allows you to connect multiple devices wirelessly so you can print without needing to connect to a computer first. 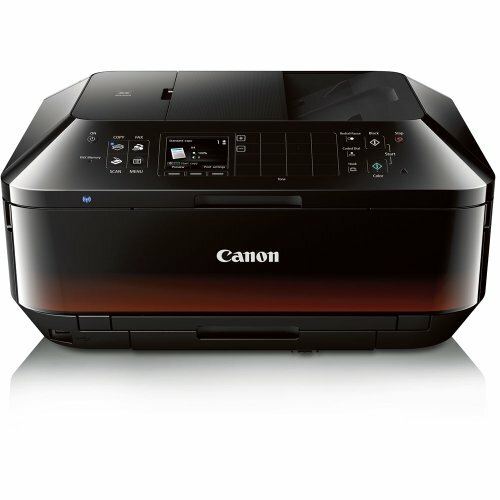 The Canon Pixma All-in-One Printer (white or black) Wireless Inkjet Printer is a compact solution for all your home printing needs. With AirPrint and Google Cloud Print, it makes it easy to print wirelessly from your favorite devices. You can also print documents from any computer in your home or office thanks to its WiFi capability. 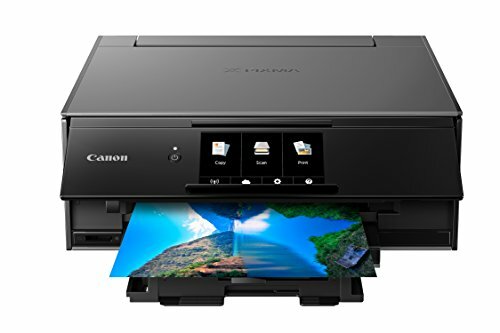 The Canon Pixma ts3122 printer is compatible with optional XL ink cartridges (sold separately), which can help you print more when you need to and extend the time between replacing ink cartridges. Its fine hybrid ink system delivers rich and detailed photos and documents. 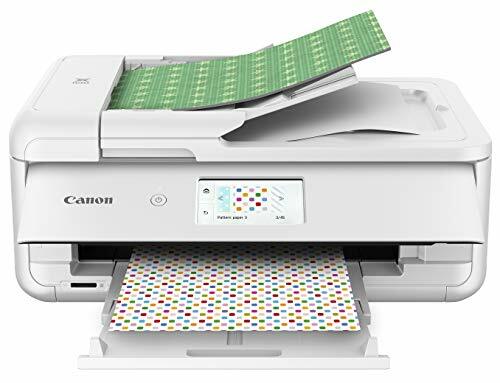 The Canon Pixma All-in-One Printer (white or black) Wireless Inkjet Printer is ideal for school projects and papers, home office and business needs and more. THE COMPACT HOME OFFICE PRINTER, THAT'S BIG ON PERFORMANCE When you need a home office printer that can handle all your work needs from documents, reports, faxing and scanning to your home needs like printing homework assignments, concert tickets and family photos - the PIXMA TR8520 has you covered. 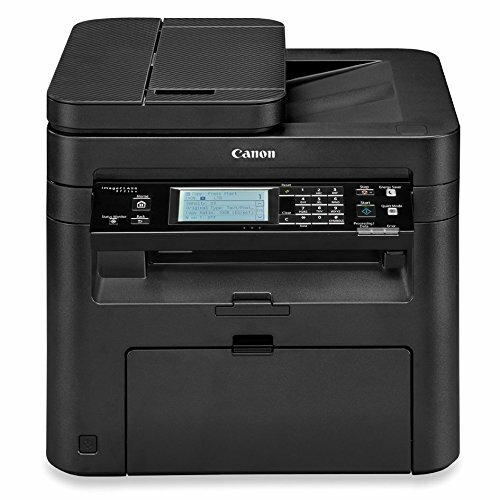 With front and rear paper feeding, a 5-Individual Ink System, memory card slot1, and impressive connectivity options, you'll be able to handle it all. Print wirelessly2 from your iPad, computer or smartphone, fax and scan with just a few taps on the 4.3" LCD Touchscreen and even print stunning photos. With the PIXMA TR8520 you'll see why it's the ultimate compact home office printer that's big on performance. The DCP-L5500DN Multifunction Laser Printer enhances office productivity with a print and copy speed of up to 42ppm as well as various advanced features. This high-performance, multifunction copier produces professional reports, spreadsheets, correspondence, and other important business documents with exceptional graphics and crisp text. Additionally, a built-in automatic duplex printing function permits you to print on both sides of the paper, helping save money and resources. It also offers a 300-sheet paper capacity, expandable to 1,340 sheets with optional add-on trays (LT-6500 or LT-5500).This office multipurpose printer, copier, and scanner offers Ethernet or wireless connectivity and mobile device printing and scanning is also possible via AirPrint, Brother iPrint&Scan, and other apps(1, 2). Quickly scan multi-page documents to a variety of destinations with the 70-page capacity auto document feeder. Designed with easy menu navigation and the option of creating up to 48 customized shortcuts for frequently used functions, the large 3.7-inch color touchscreen display built into the DCPL5500DN simplifies even the most complicated tasks. Users can also scan to and print from popular business cloud services directly from the touchscreen display without using a computer via Evernote, Google Drive, Dropbox, and more (1).). This Brother monochrome laser multifunction printer offers advanced security features to keep your documents, network and devices secure. The DCP-L5500DN comes with a 1-year limited warranty and free at-your-side support for the life of your product, featuring online, phone, or live chat assistance. Print from more locations than ever with the MX492 thanks to outstanding connectivity options and the ability to place the printer more places than ever with its 30 percent reduction in size over previous MX models. With Google Cloud Print and AirPrint, you can print wirelessly from your compatible smartphone or tablet from virtually anywhere around the office. It's loaded with timesaving features as well, including a fully integrated automatic document feeder that holds up to 20 sheets. Plus, the optional XL ink cartridges mean you can print longer before having to replace your cartridges. 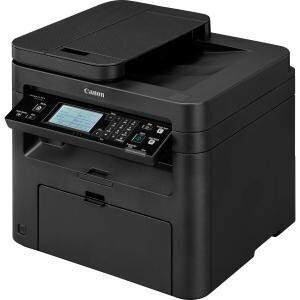 Refurbished Canon ImageRunner 1025N: 25ppm B/W Multifunction System, Up to 8 1/2" x 14" Media Size, Prin, Scan, Copy, Optional Fax. Automatic Document Feeder, Network-Ready, 1200 x 600 dpi Image Quality, 600 Sheets Standard Paper Input Capacity / 1100 Sheets Max. with Options, 128 MB Memory, 120V AC, Power Cord. This machine is fully refurbished in-house by our certified technicians. Comes with 30-Day Parts Warranty, As-is consumables, and power cord only. 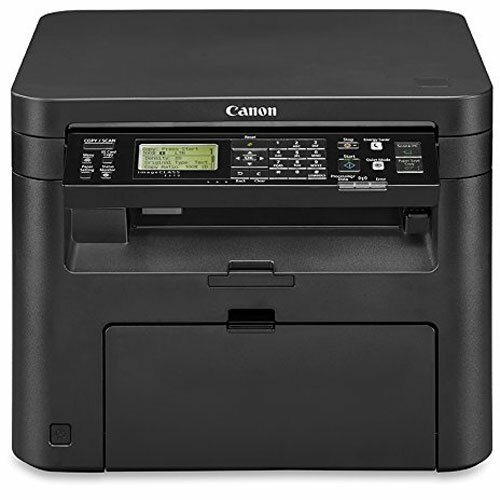 Refurbished Canon ImageRunner Advance C5030: 30ppm Color Multifunction System, Up to 12" x 18" Media Size, 2-sided Print/Scan, Copy, Optional Fax. Automatic Document Feeder, Network-Ready, 1200 x 1200 dpi Image Quality, 1100 Sheet Standard Paper Input Capacity / 5000 Sheets Max. with Options, 2 GB Memory, 80 GB HDD, 120V AC, Power Cord. This machine is fully refurbished in-house by our certified technicians. Comes with 30-Day Parts Warranty, As-is consumables, and power cord only.